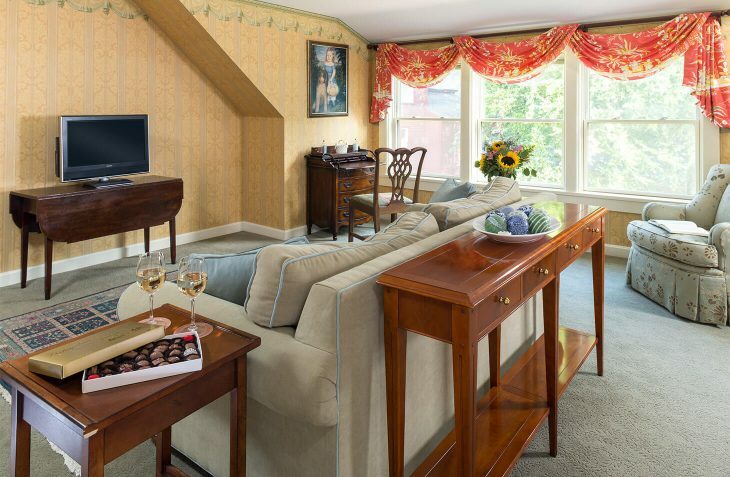 The attached living room in the King Suite has a gas burning fireplace, queen-sized sleep sofa, flat screen TV, DVD player, writing desk, and lovely light from large windows. 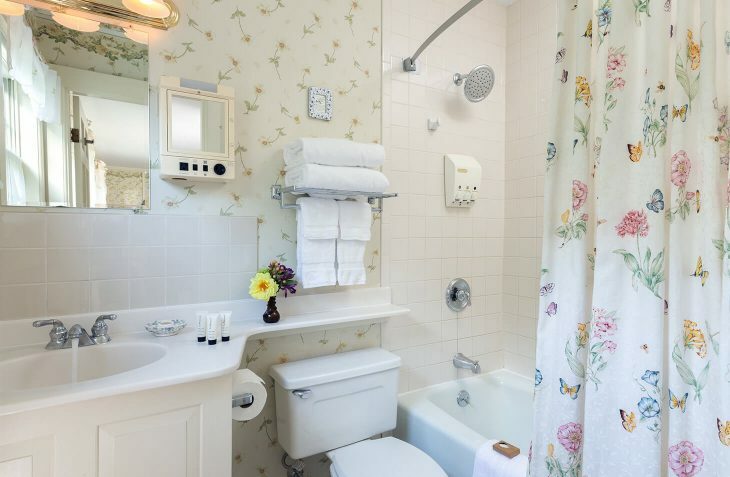 The pocket door between the rooms offers privacy in this two room suite at our hotel in Western Mass. 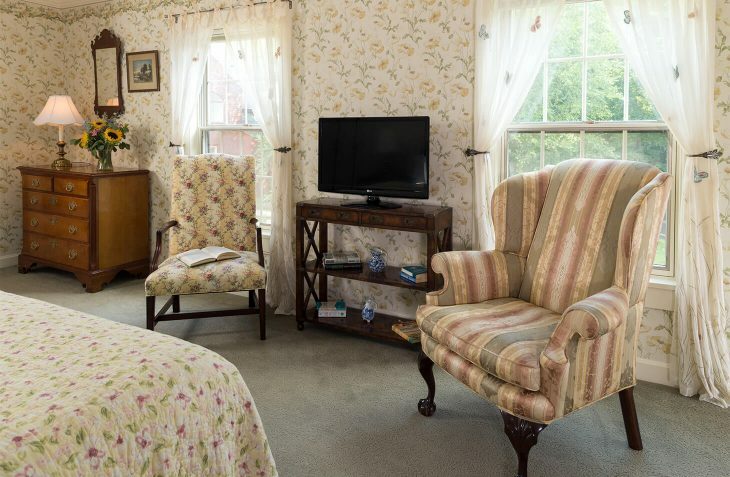 This room can accommodate a 3rd person for $45.00. 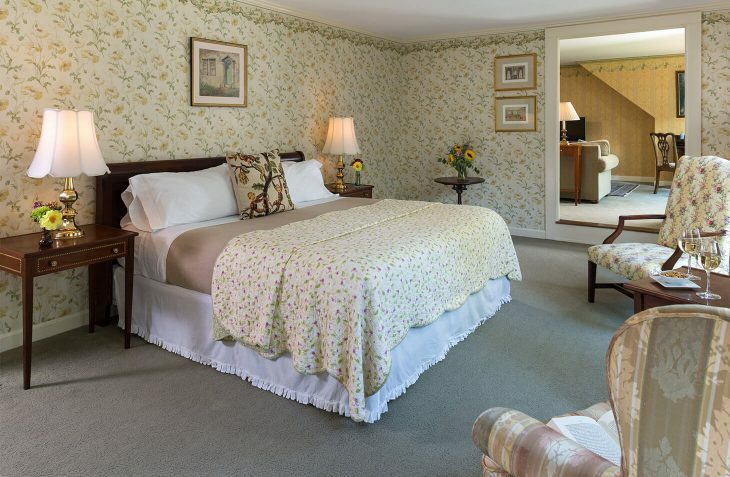 The Deerfield Inn’s Relaxing Room is a massage therapy retreat to restore your body and mind, offering a wide range of beneficial massage therapies, including couple’s massages.